Explore a less-visited area of Morocco without the tourist crowds during a private day trip from Marrakech. After hotel pickup and easy minivan transport past Asni, you’ll stop in Imlil village for a walk with your personal guide. 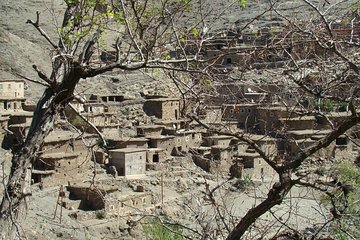 This day trip to Berber country includes lunch at a traditional home and a stop at a Kik Plateau overlook.